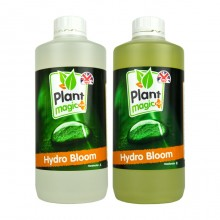 The Plant Magic Hydro range is a two-part nutrient consisting of Grow (A+B) and Bloom (A+B) and it is available in hard and soft water formulations. 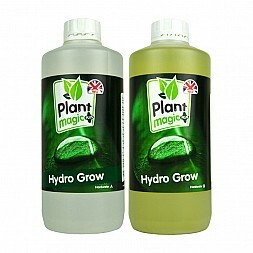 This nutrient consists of high quality mineral salts and trace elements to ensure the impressive growth rates and yields associated with all hydroponic growing techniques without compromising the quality or shelf life of the flowers or fruit. Customer feedback has been very positive on this nutrient, especially for customers in hard water areas such as Bristol who report that when using the feed at full strength their pH levels need almost no adjusting.